CREN Politics: Why the U.K. Voted for a "Brexit" From the E.U. The E.U. Referendum is a clear message on the current state of world affairs. There is insanity, inaction by world leaders, the West has failed with regards to security, and people are begging for the madness to stop. Euroscepticism was a taboo word on Wednesday June 22, 2016; as the sun rose on the old continent on June 24, it suddenly was mainstream. 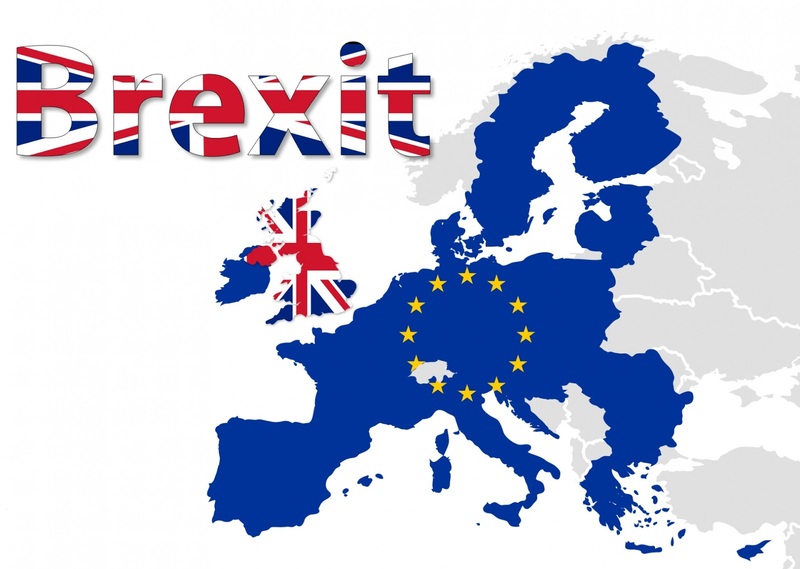 There are many impacts this vote has on the current state of affairs such in the near future such as trade agreements, sovereignty, immigration, unification and could create a chain reaction across Europe. It can also bring about a new era of prosperity and gains in liberty, individual freedom, and improvement for the quality of life for many. But if tensions rise too high, it can also become as bloody as the French Revolution. With regards to the politics of Great Britain, the Labour party has some significant soul searching to do. The party has gone far-left after Jeremy Corbyn took over following the 2015 UK Parliamentary election. Yet Corbyn himself was an early Eurosceptic and often critical of the EU despite his party’s politicians (and himself included) almost unanimously endorsed to stay in the European Union. The sole reason this referendum passed for leave the E.U. was the base of Labour party---blue collar workers---in the Labour heartland voted against their party’s wishes and policies. While every region in Scotland reported healthy numbers for stay in the E.U., voter turnout was much lower than the Scottish Independence vote and immediately Labour blamed SNP over this loss. Labour is quite arrogant since it now only controls one parliamentary seat in Scotland and is the reason why the Conservatives have a sole majority. The Labour base is furious at the party for not helping their constituents. This leads to the biggest miscalculation in economics and believers of the constructivism policy over realism. Yes, the overall net gains are beneficial to both sides in free trade agreements and a pact mentality, however, the miscalculation is in adaptability and whom it benefits and hurts. Simply put, a fisherman or manufacturer cannot simply leave their profession (after most likely years or decades in that field) to become the next computer expert or wind turbine engineer via job training or returning to school for a new degree. In the United States, a blue-collar worker cannot simply become the next Silicon Valley expert. Despite amazing progress in connecting the world in seconds via e-mail and Skype. We can also be connected very quickly in-person via aviation. Yet, a vast majority of people’s future is largely determined by their birthplace in the world and the environment they grow up in. Most people in America---where Americans have a rather high rate of movability---will live approximately only 18 miles away from their mother largely because of economic opportunity. The greatest political challenge going forward for the United Kingdom will be to remain united. Wales and England clearly voted to leave the E.U. while Scotland voted to remain and the SNP wants to remain in the E.U. while leaving the U.K. Low energy prices pretty much proves Scotland cannot be more prosperous as an independent nation. Oil will not go back to glory day prices that are needed to make Scotland prosperous because drilling in the North Sea is more expensive than many other places around the world. Yet, Scotland is probably the most likely candidate to leave the U.K. and the E.U. may just want that to get revenge and serve as the “punishment” for this vote. Northern Ireland is a more complicated issue. The vote was 55/45 to remain, however, there appears to be another divide within the once very fragmented country. The DUP region of Northern Ireland (mostly protestant areas) voted to leave the E.U. while the more Catholic regions and border areas to the Republic of Ireland voted to remain. Most likely Northern Ireland will remain in the U.K. yet there are significant questions that need answers should this become an “E.U./non-E.U.” border. There is another element the world forgot before this vote and perhaps this is why people are most surprised by the result. The land of the birthplace for liberalism pioneered by great philosophers such as John Locke, Adam Smith, and John Stuart Mill voted to essentially say to the European Union: No taxation without representation. Lest we forget the real reason why the 13 colonies declared Independence from the Crown and Parliament was because the colonialists felt they did not have the proper rights as Englishmen as they were being taxed without a seat in Parliament. The U.K. voted on June 23 to tell the European Union it did not have a right to make laws over their sovereign land without proper representation.